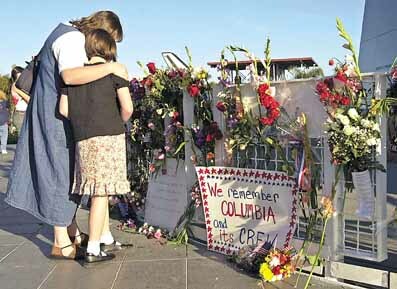 World leaders expressed shock and regret over the tragic loss of US space-shuttle Columbia in which seven astronauts were killed. Columbia disintegrated on it's re-entry into the earth's atmosphere, minutes before it was to land. 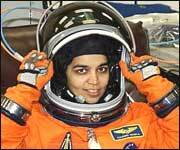 "Kalpana Chawla was a brave and courageous star born in your great country." -- US President George Bush to Prime Minister Vajpayee. On Sunday, Indian Americans held condolence meetings in memory of Kalpana Chawla and the other six astronauts who perished in the tragedy in cities across the US. In the Washington area, a large number of people assembled at the Siva Vishnu temple. 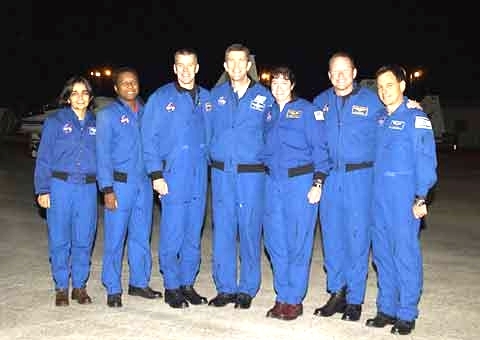 Ambassador Lalit Mansingh led the gathering, paying tributes to all the astronauts. For her emotionally-wrenched parents, Kalpana had all along been a source of pride. Her father Banarsi Das Chawla, overcoming the shock and grief, said on Monday that his daughter had fulfilled his life’s mission and made India proud. He had his last conversation with his daughter on January 28 by videoconference at NASA. He had come to the US two days before Colombia’s January 16 launch. By then, the crew members had already been quarantined. NASA officials, however, extended Chawla and his wife the courtesy of meeting their daughter---one last meeting, as it were to turn out.